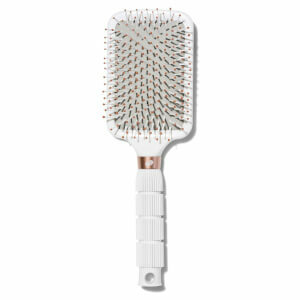 Designed with a luxe rose gold aluminum and ceramic-coated barrel, this T3 Volume 2.0 Round Brush works with dryer heat to shape hair during styling, adding body and volume. Its vented body allows air to flow freely and ensures smooth, shiny results, while the soft, non-slip handle ensures better control and effortless styling. Ideal for short to medium-length hair.